with all the facilities to make you also feel at home. About 48 kms away from Mekhri Circle on the Bangalore -Doddaballapur -Hindupur highway, the journey is typical of countryside. Aesthetic designs welcome you right from the entrance inviting you for an ecstatic stay. - All in the sincere appreciation of your taste and life-style. 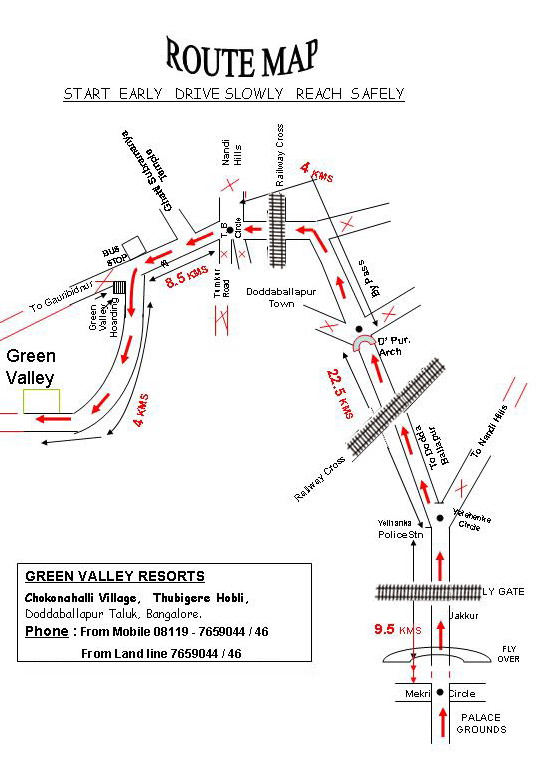 Elegantly laid out for privacy and tranquility, Green Valley lets you relish those special moments of peace and fun. Thoughtful still, round-the-clock manned security through out the enclave to ensure a safe and secure haven. Just the place to soothe away the cares of the world - a typical GET AWAY from Bangalore. So, pack your bags and chase your dream vacation! The famous Spiritual spot – GHATI SUBRAMANYA Temple that is approximately 750 years old.